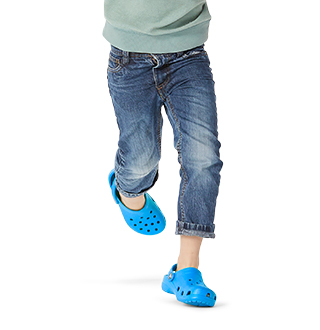 Crocs footwear collection features comfortable clogs, casual flip flops and dressy sandals, work shoes for on-the-job foot comfort, and much more! 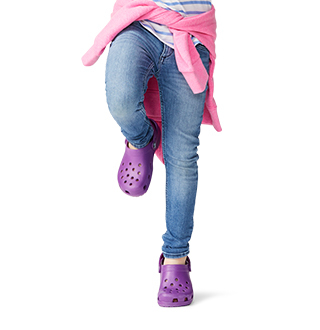 Discover today’s shoe styles and classic Crocs comfort with shoes for any occasion! Get a little glamorous with women’s dress shoes including high heels and trendy wedges, women’s dress flats and mary janes, and women’s dressy boots. 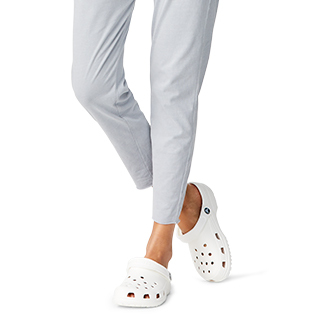 Take a new look at Crocs and our new seasonal styles for women. And find great discounted prices in our women’s footwear sale section — updated often! Our men’s casual shoes, casual slip-ons, loafers and casual lace-up sneakers are lightweight and comfy too. 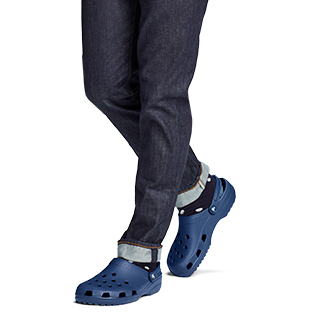 Check out our Crocband™ Collection, which combines the look of a sneaker with the feel of a Crocs clog. And don’t miss our work shoes for men, with comfy, ergonomic features for those who stand on their feet all day long. I would not buy them again. They are not quite a 6 and run a little short, but I can deal with it.